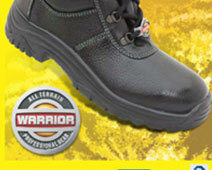 These steel toe shoes or boots are necessary to protect your feet when you work in perilous workplaces. They are important due to the fact that injuries in such places are common and your feet are the most vulnerable. Shoes with steel toe caps can prevent your feet from damages, provided you buy the good quality shoes. Therefore, look for footwear manufacturers that are known for offering superior quality safety shoes. Let’s understand the benefits of wearing shoes with steel toe caps better. For say, an object weighing 60 pounds fall from a considerable height. Can you feel the pain? To avoid such pains, these steel top shoes and boots are necessary. They will help you avoid damage and pain in such situations as they are designed to withstand up to 75 pounds of falling pressure. Choosing the right pair of these shoes can help you stay protected from mishaps, providing utmost comfort. Thus, there is no need to compromise on your comfort level with these shoes. They will keep your feet protected from getting hurt. Wearing these shoes will not only protect you from heavy falling objects, but will prevent a number of other possible injuries too.A wide number of mishaps such as injuries due to falls and slips, from burns etc. can be prevented. If your job demands prolonged standing on hard surfaces, it can cause pain and discomfort. These shoes in such situations are ideal as they offer better comfort and protection. Even when you need to work on your feet for long, these shoes offer support to alleviate your pain and improve the comfort. Apart from those mentioned above, you can enjoy many other benefits by wearing these steel toe cap shoes. 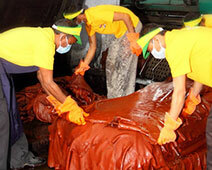 But ensure to get them from a manufacturer that uses high quality materials while manufacturing.